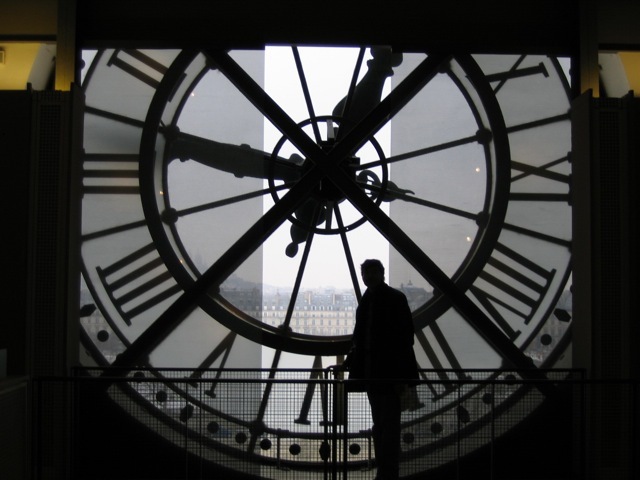 Early in my ‘Renaissance’ (the ‘R’ word that I use for my Retirement), it was such a sweet treat to begin each day with an hour of visiting blogs. This morning ritual took me to faraway places and creative spaces, and introduced me to the most interesting people. As I got to know each blogger, it was always fun to join in the conversation by leaving a comment on each blog I visited. As time passed, I noticed that many of my favorite blogs were using WordPress as a blogging platform. Hmmmm… interesting! 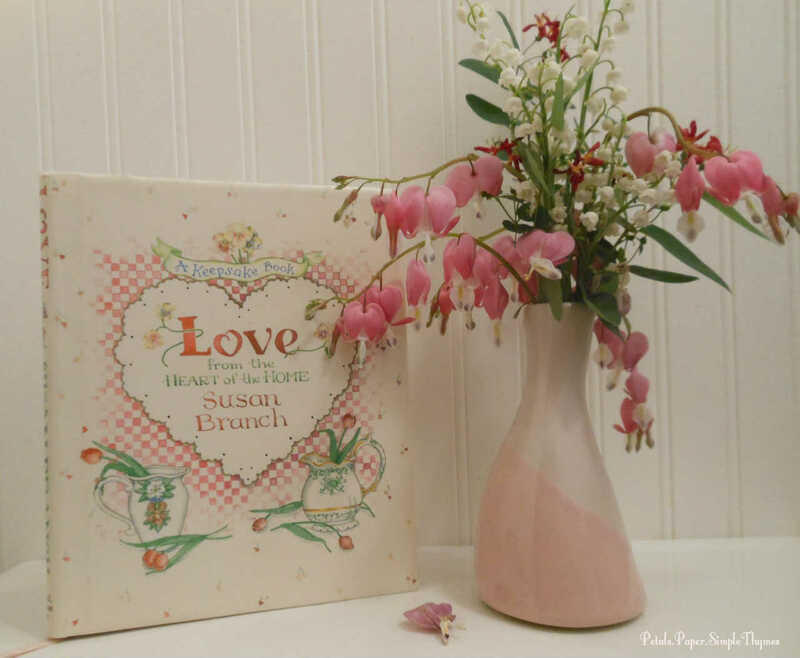 One of my favorite, early morning stops was always Susan Branch’s blog. Susan has long been my favorite author and artist. The chance to soak up a bit of her inspiration and creativity was a perfect way to begin my days. The chance to leave Susan a comment and wait for her to reply was over-the-moon exciting. I had no idea how Susan wrote a blog, but it felt positively magical to me! Just a few months later, I read that our wonderful public library was offering a WordPress workshop. 🙂 Always curious, I decided to find out just how this blog magic worked! Perhaps I could just create a private blog using WordPress. No one could see it but me! So, I chose a simple, old-fashioned theme (just like me). It reminded me of a scrapbook page, with its ribbon banner holding a title. 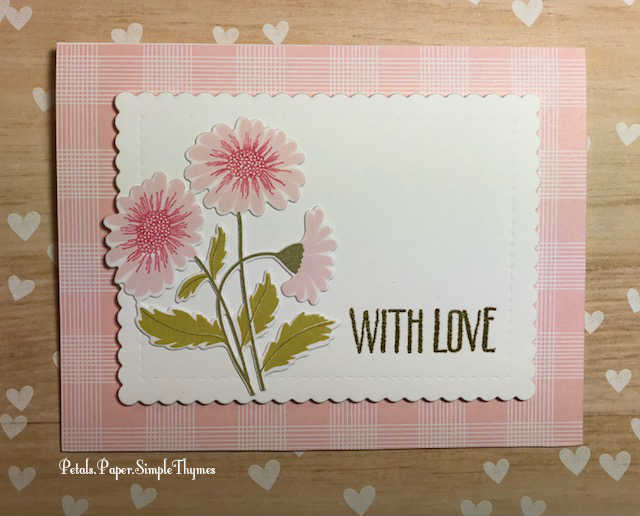 The tiny flowers in the header reminded me of paper cuts that might embellish one of my handmade cards. All of the ‘working bits’ were tucked neatly away in a slide-out sidebar. Hmmmm… fascinating! 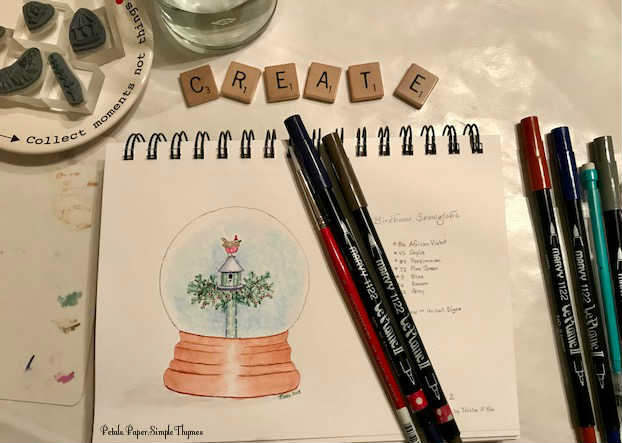 When I showed my sweet husband all of the magical things I had learned at the workshop, he wondered aloud what I might write about if I had a blog. Hmmmm… just out of curiosity, perhaps I could write a pretend post! No one would see it. A lifelong letter writer, my very favorite things to write were always long letters to friends. So, I just sat down and wrote a letter to a friend and within a few hours I figured out how to insert the photos. Later that week, I met with the technology director at our library one evening. Cher looked over my pretend post and said it was ready to publish. Publish? I was truly just learning out of curiosity! and see what happens,” she said. So, (very bravely) we did. only to discover that someone in New Zealand was reading my story! At that very moment, I knew that blogging was truly magical. When I showed my husband, he suggested that we go to a nearby Quilt Show that weekend so that I could write about it on the blog. He wanted to go to a Quilt Show?? (*wink*) Soon, we began planning weekend ‘Blog Dates.” 🙂 An unexpected joy! Still feeling shy, I decided not to tell my friends and family about the blog. I only confided in my dear friend, Cathy, who was enduring a very brave battle with ALS. I knew that the iPad attached to Cathy’s wheelchair allowed her to explore and experience the simple joys of life. Cathy began reading my posts and commented that they “felt like a walk in the park with a friend.” Happy tears! I discovered that a quiet, little blog could make a difference in someone’s day. An unexpected joy! 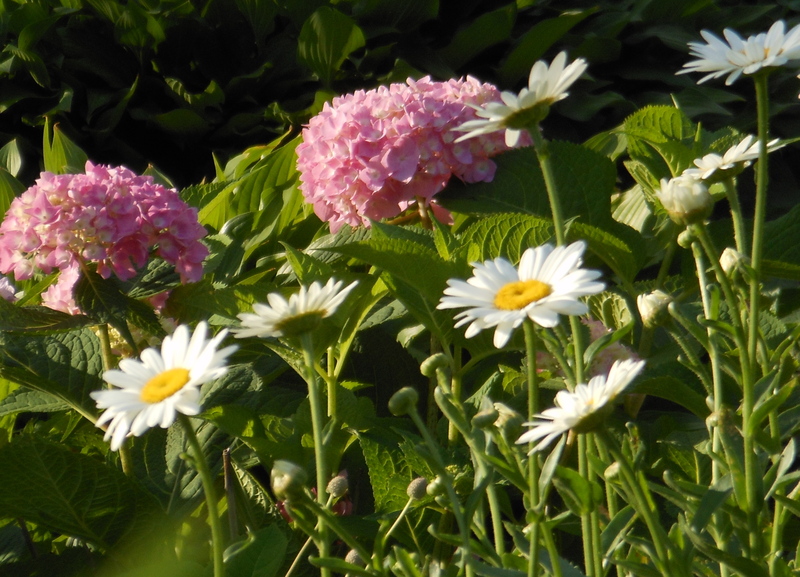 What fun it would be that very first summer as a blogger! 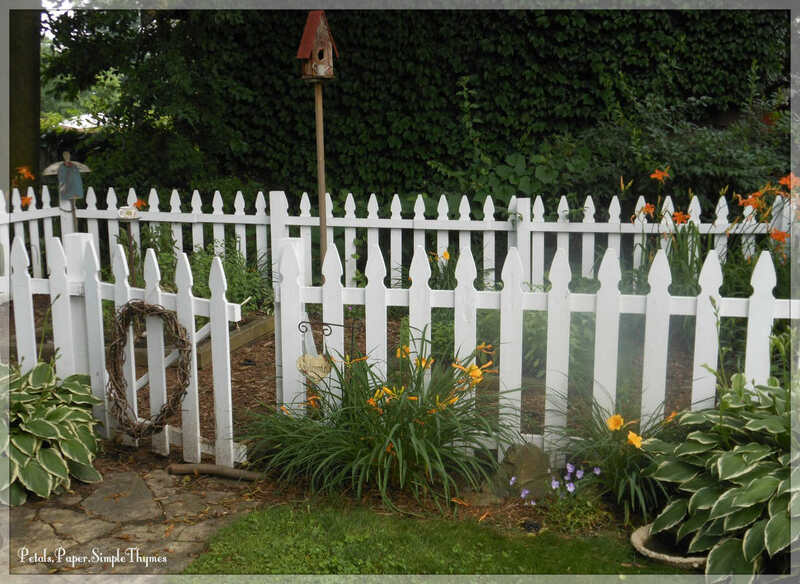 I planned to stroll around my garden taking photos of my cottage perennial and herb beds. Oops! Suddenly, our quiet street was under construction and heavy, earth-moving equipment began digging up the entire street. Each night, they parked all of the equipment in front of our house. For many weeks, I would brave the dust to run out and take a quick photo in the early morning or late evening light. That summer, I learned the importance of close-up photography. An unexpected joy! Petals.Paper.SimpleThymes continually inspires me to keep learning! Over the years, out of curiosity, I attended many more workshops at our amazing library. I wanted to learn about basic photo editing, personal branding, intellectual property, watermarking my photos, close-up photography, and writing memoir. At the library, I connected with others interested in blogging. Webinars introduced me to SEO and taught me to be intentional as I created the ‘look’ and ‘feel’ of this little blog. There is still so much to learn! Currently, I am having fun exploring flat lay photography. Unexpected joys! Petals.Paper.SimpleThymes often challenges me to be very brave! Now I find great joy in sharing personal stories celebrating the small moments that make life oh-so sweet. Sharing my ‘One Little Word’ each year keeps me accountable as I grow in so many new ways. 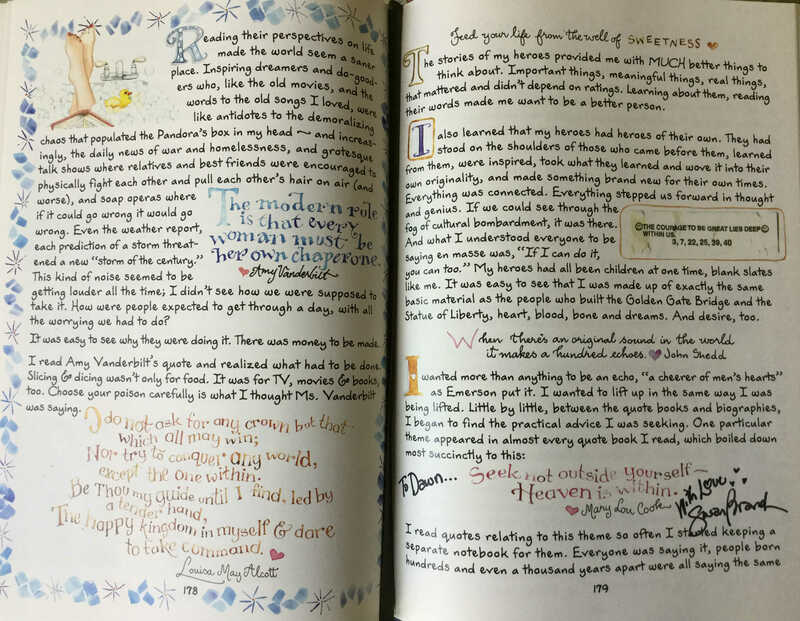 Publishing photos of my handmade cards and hand-lettered journal pages was scary at first. I’m so grateful for all of the kindness and encouragement here. Unexpected joys! 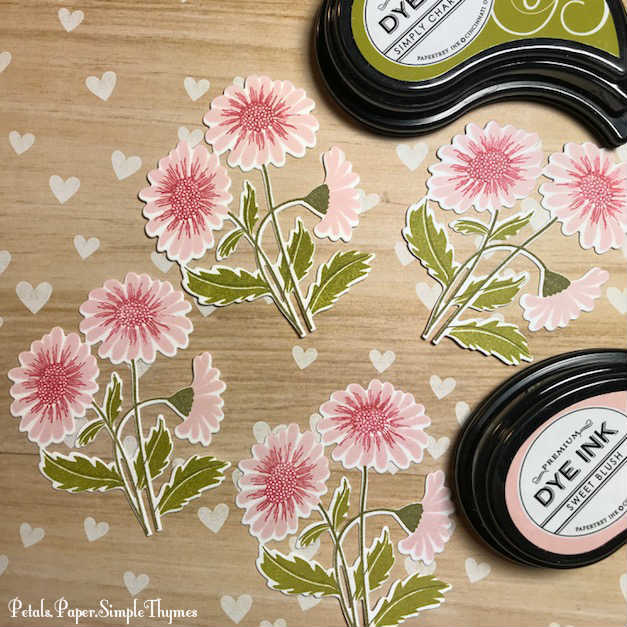 Petals.Paper.SimpleThymes has truly enriched my life! From the very beginning, blogging has felt just like being pen pals with the world. I am genuinely humbled that people from across the globe stop here to read my quiet stories. 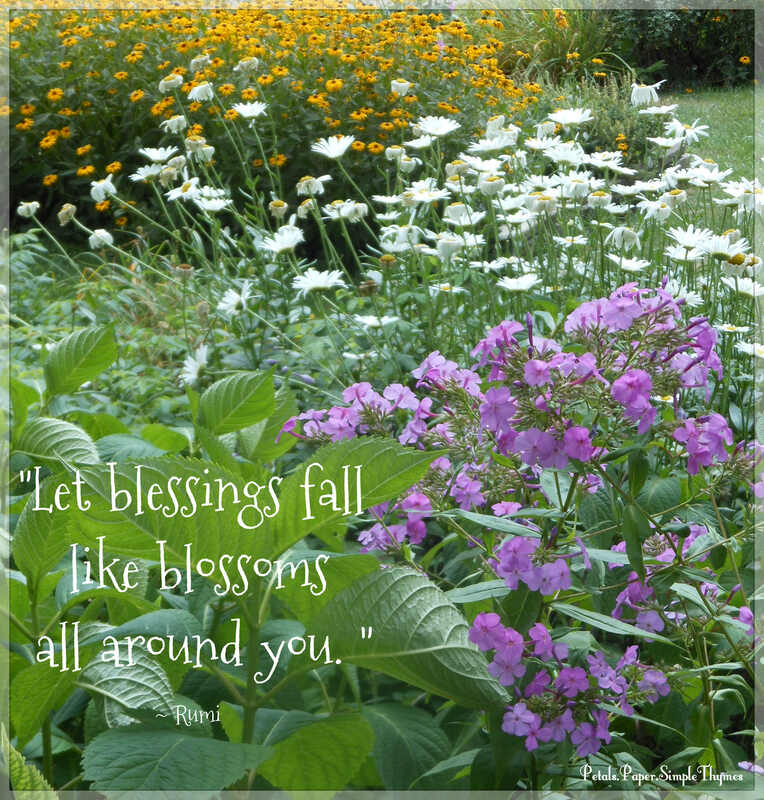 It has been such a blessing to meet so many delightful kindred spirits and new friends who gather here and join in our conversation. The seeds of many strong friendships have grown here over the years! It feels magical each time I meet a friend in person that I have known through blogging. 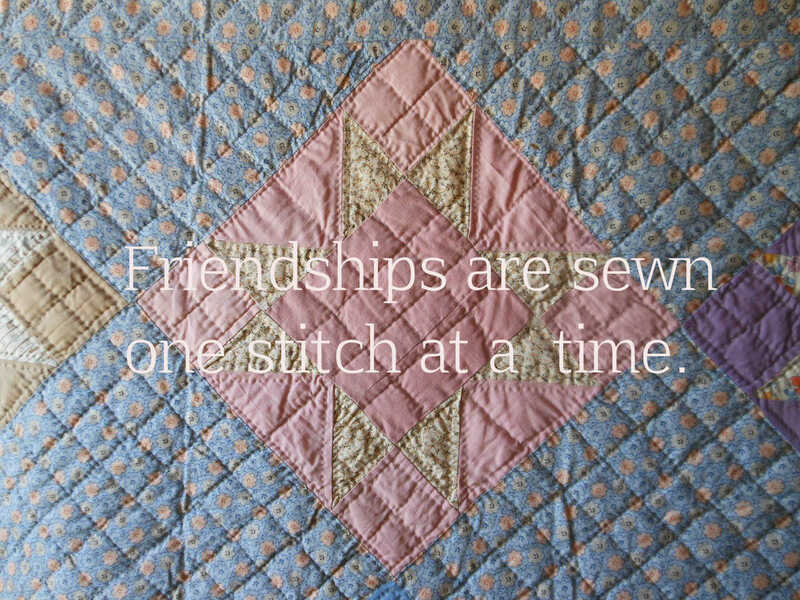 I look forward to nurturing our friendships in the years to come! Unexpected joys! 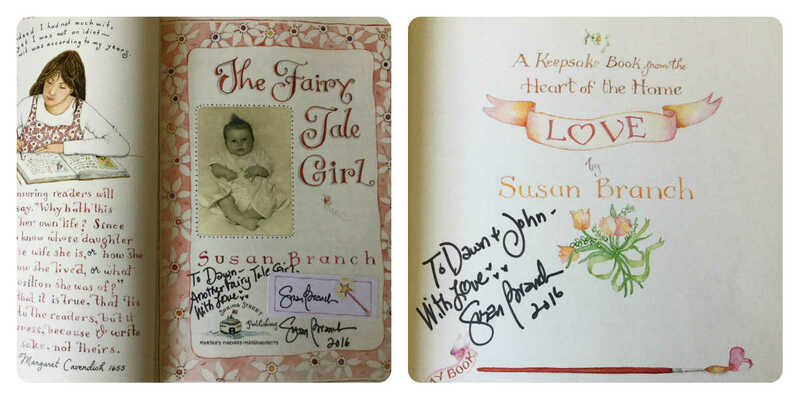 A ‘heartstrings’ moment of serendipity happened two years ago at a Tea Party and booksigning with Susan Branch. (Remember that Susan was my inspiration as I tiptoed into the world of blogging. Hope you will take time to visit her blog. It’s truly enchanting!) This was the third time Susan and I had met and we always had something fun to talk about together. We had another lovely chance to talk together before Tea was served. 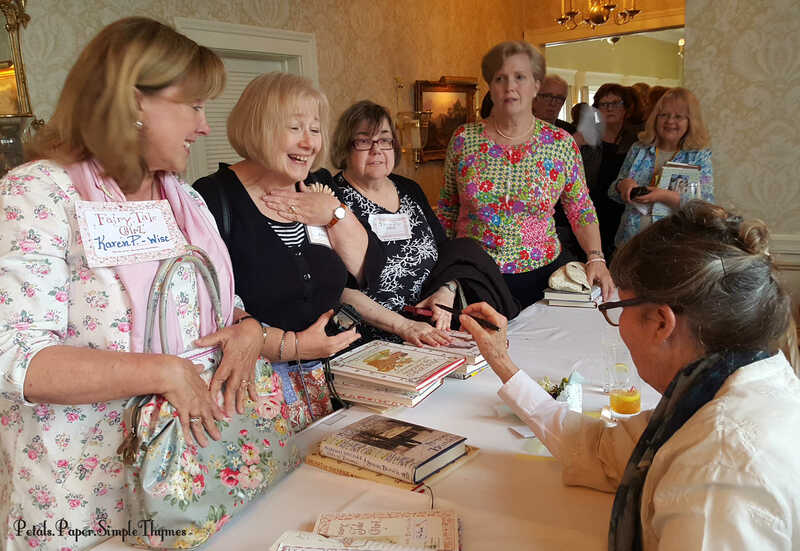 Afterwards, a long line of Girlfriends chatted together, making new friends as we excitedly waited for Susan to sign our books. I was absolutely stunned when Susan completely surprised me! Her kind words about Petals.Paper.SimpleThymes truly touched my heart. 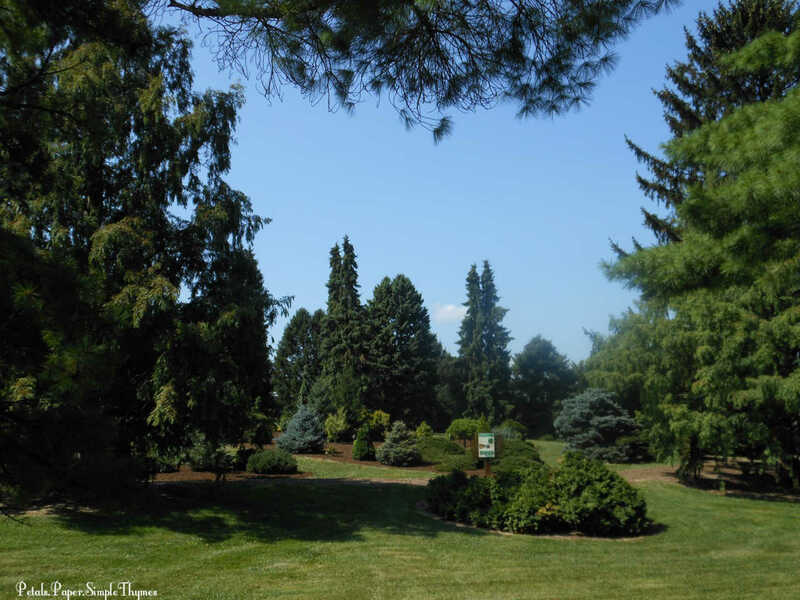 She spoke of this delightful gathering place, a lovely community of kindred spirits, and told me that she quietly visits my blog to read my stories. Oh, my goodness!! ♥ Be still my heart! A complete circle of love and kindness… and a most unexpected joy! is celebrating its fourth birthday! it will bring in the coming years! Things are growing and changing here slowly… day by day. My Midwest perennial and herb gardens are definitely growing and changing, but that’s not the only place I’m noticing new growth. It’s happening within me, as well! 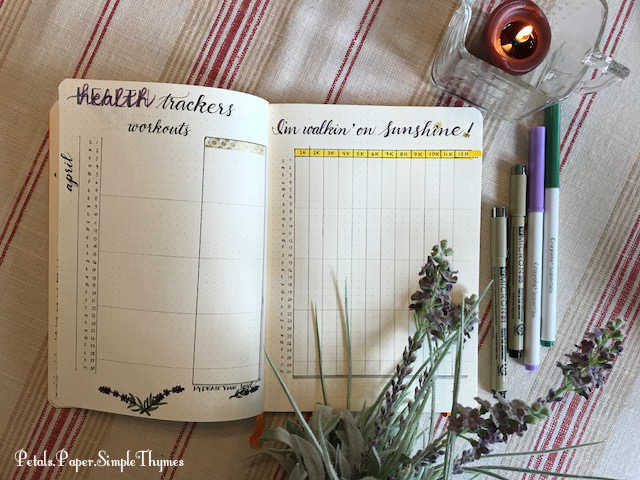 Inspired by all of the changes in my garden over the past two years, and the lessons learned and documented in my Garden Joys bullet journal, I knew that I wanted to create a very special, very personal Self Care bullet journal for 2018. The new year offered a blank slate filled with endless possibilities and opportunities to grow day by day. So, I chose a beautiful, Rhodia dot grid journal for this time of new growth. The luscious, ivory, brushed vellum paper, made in France by Clairefontaine, called to both my hand and heart. 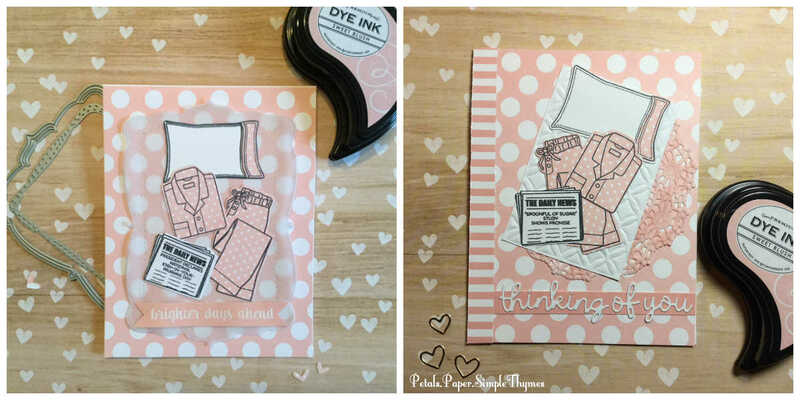 These creamy, blank pages must be filled with ink, color, and most importantly… with intention! In late December, I anticipated that something very important was just about to begin. My blank journal would need a dedicated place for writing and reflecting upon all that I would learn. So, I chose a simple, pine, IKEA desk and my sweet husband spent hours assembling it, with so much love and care. Now every day of the year begins and ends with those luscious pages and a few simple art supplies. 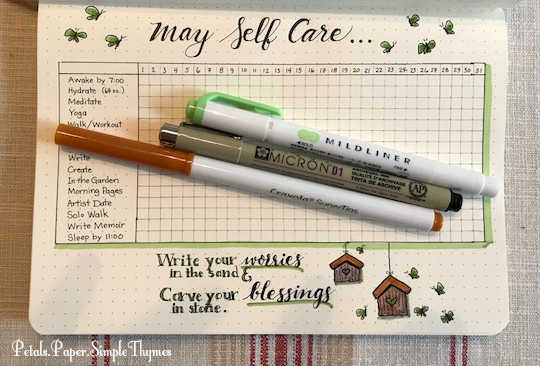 The time I spend with my Self Care journal always feels like a special gift ~ to me, from me! It’s truly heartwarming to fill my Gratitude page with the small blessings that add joy to each day. 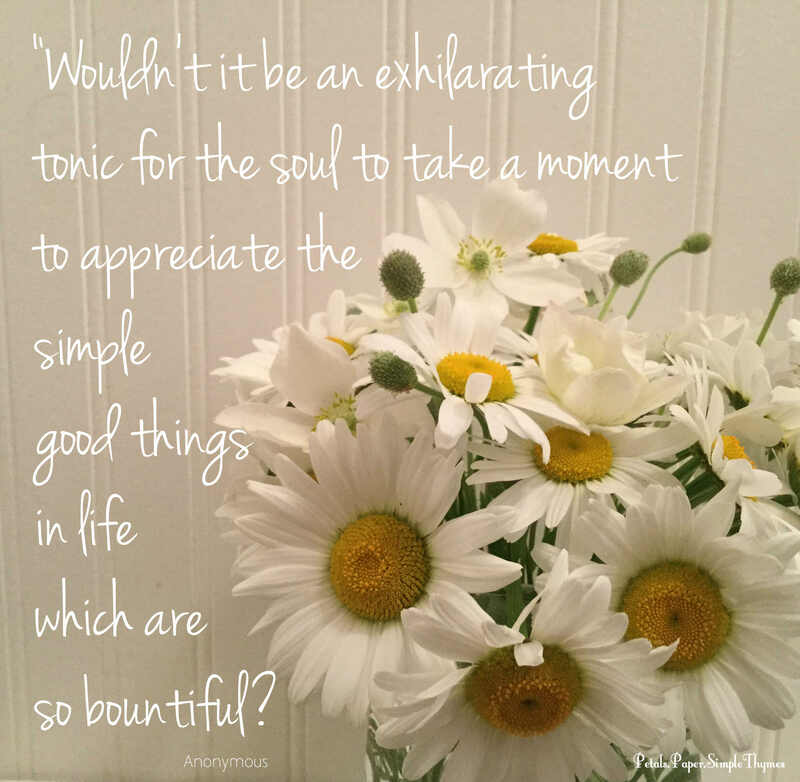 I find myself looking for moments of gratitude all day long. By the end of each month, this page is overflowing with blessings and I always wish I had more space to write. 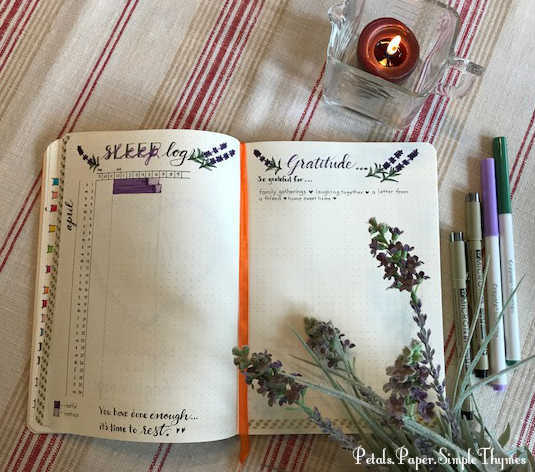 I think my Gratitude page is actually the most important page for Self Care each month! I have also been tracking all of my ‘workouts’ throughout each month. Whenever I workout, I document how many minutes I spend: shoveling snow, practicing Yoga, doing a Zumba workout, walking, mowing the lawn, or gardening. My activities change throughout the seasons. It’s so wonderful to be more active outside now that Springtime has finally arrived here! 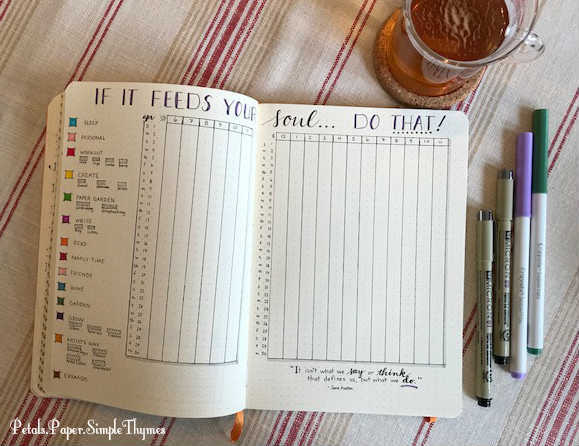 I’m keeping track of how much water I drink each day in my “Hydrate Your Soul” tracker. I have grown more mindful of refilling my water bottle multiple times each day while attempting to reach my daily goal! My Fitbit counts my steps and I graph them daily. Just knowing that I must record my step count in ink helps me to think about moving more throughout each day. Bundling up for Winter walks felt energizing because I had to walk quickly! We have been ‘Walkin’ on Sunshine’ lately during our evening walks together. Sunny morning walks in the park always lift my spirits. The easiest walks of all are long, chatty walks with friends. The miles fly by as we catch up on one another’s lives! I’m just delighted that nice walking weather is finally here! It has been very interesting to document how I spend my days! 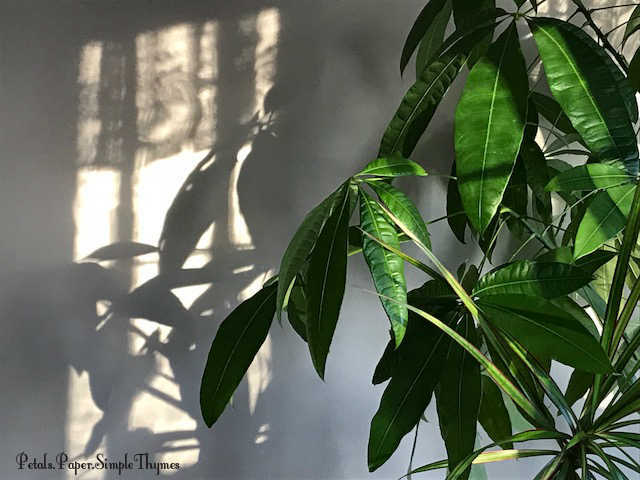 By the end of the month, I can actually see how much time I have spent in my little Paper Garden studio, writing Morning Pages, going on Artist Dates, writing letters, and blogging. It is creative time that truly nourishes my heart and soul. So, when I notice that one of my important activities is not a part of my days, I strive to make a change. This has been such a gift for my creative spirit! From the beginning, I made a conscious decision not to include the minutiae of daily tasks in my Self Care journal. During my ‘Renaissance’ (the ‘R’ word that I use for Retirement), I truly relish the freedom of my days. So, I use a beautiful Lang Engagement Planner for the events and tasks that must be done each day. I either ‘X’ each task as ‘completed’ or migrate it to another day. I’ve always enjoyed being ‘busy.’ However, now I can feel the difference between just being busy and being productive. What a great feeling! 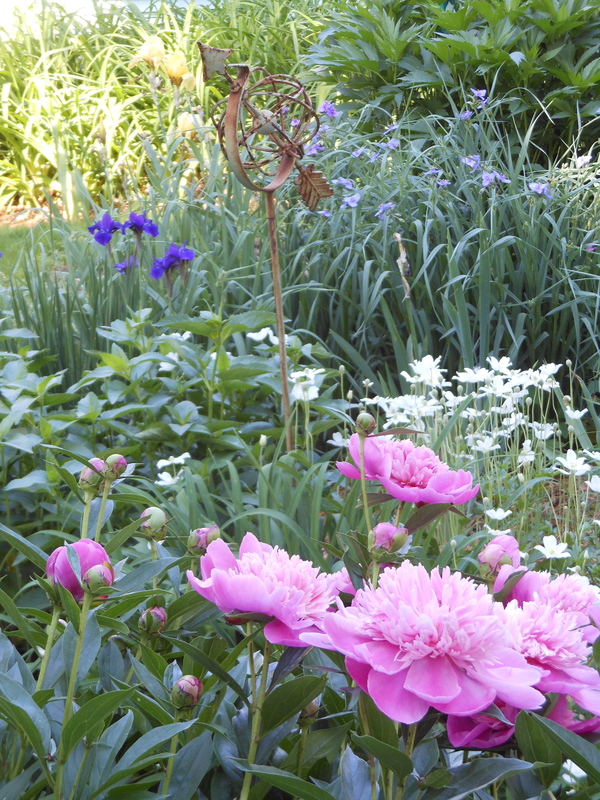 Perhaps it’s our wild Springtime weather, but it’s so hard to believe that May is almost here! 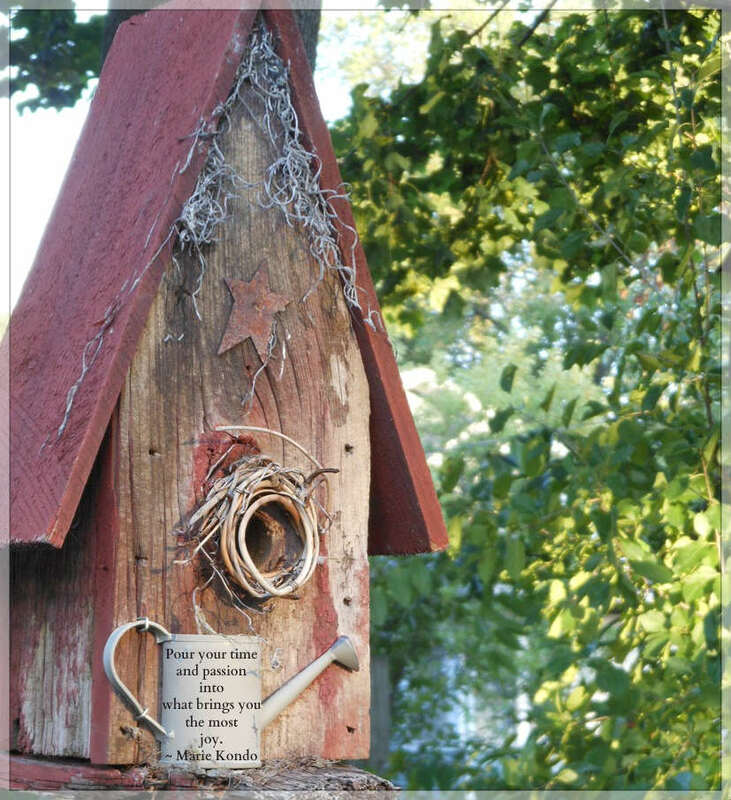 I’ve been peeking into the birdhouses in our garden waiting for robins or wrens to move in. 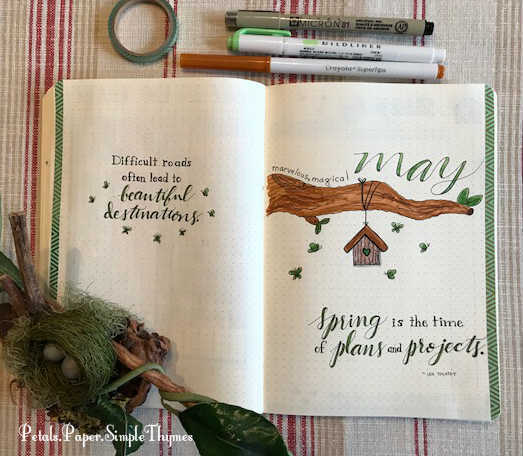 So, it was such fun to create new spreads with birdhouse doodles in my Self Care journal. I just love adding inspirational quotes on every page! It will be interesting to watch my healthy habits continue to grow, step by step, throughout May. This month, I added a new chart to help me stay mindful of my most important healthy goals. Looking down the column each day will remind me of my intentions to do those things that make me both healthy and happy! If you are interested, plenty of wonderful inspiration for bullet journaling can be found on You Tube. 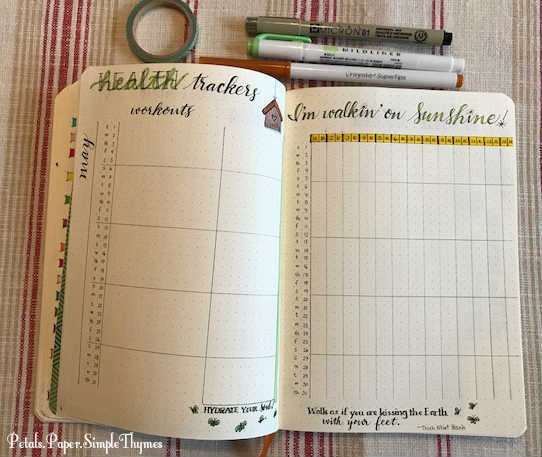 Kara Benz @ Boho Berry motivated me to give bullet journaling a try. Kara just created a beautiful digital planner (available on May 1st) for those who might prefer a more portable way to bullet journal. (Very interesting, but I think I will always prefer luscious paper and ink!) 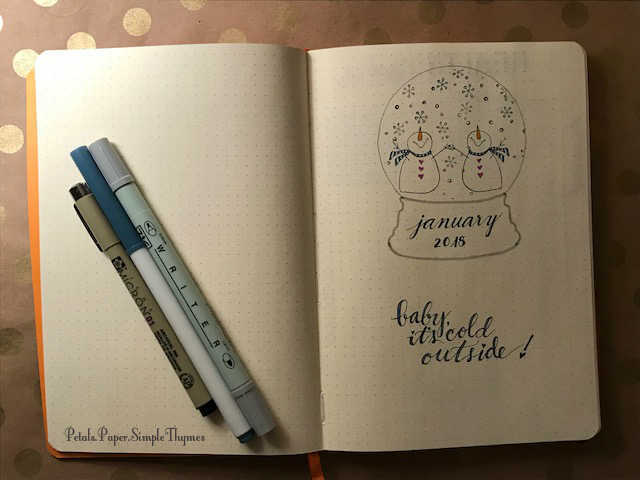 I also find great bullet journaling inspiration from Amanda Rach Lee. Helen Colebrook creates lovely journals, too. Do you keep a journal of any kind? How do you bring Self Care into each day? Hope you will share with us! 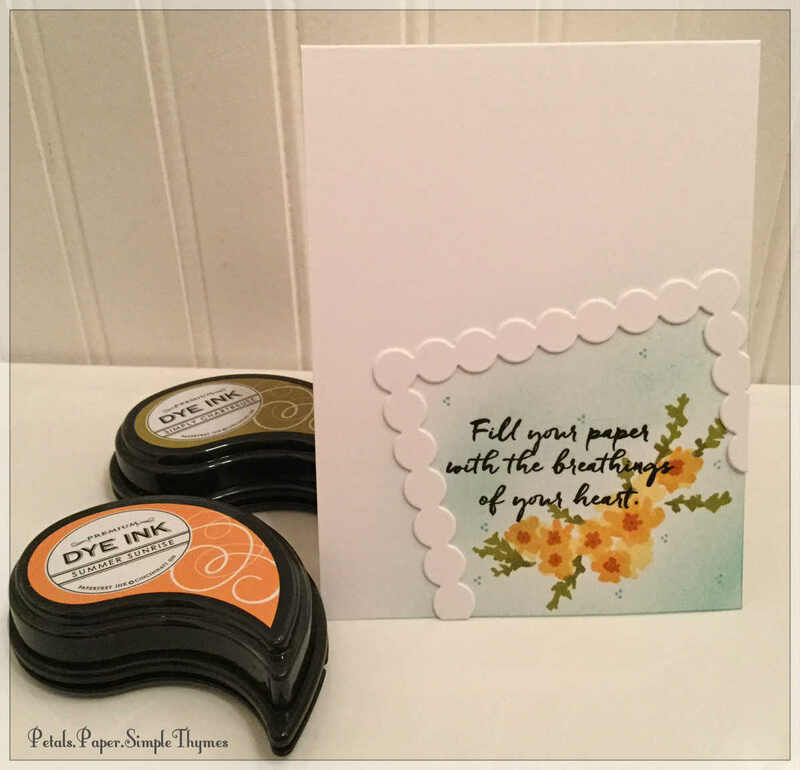 A special welcome to everyone visiting for the Papertrey Ink February Blog Hop! 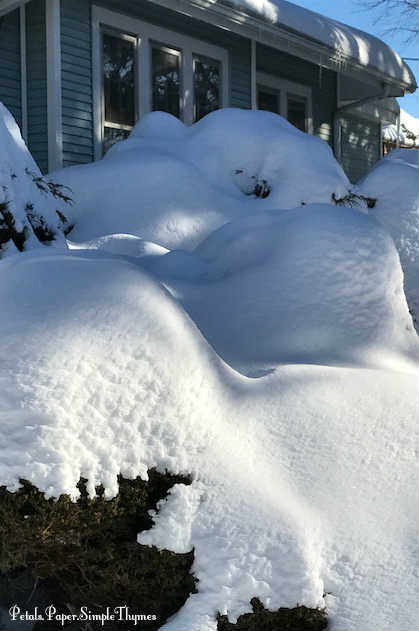 Our thick blanket of snow has finally melted and throughout the week heavy rains watered my perennial and herb gardens.. 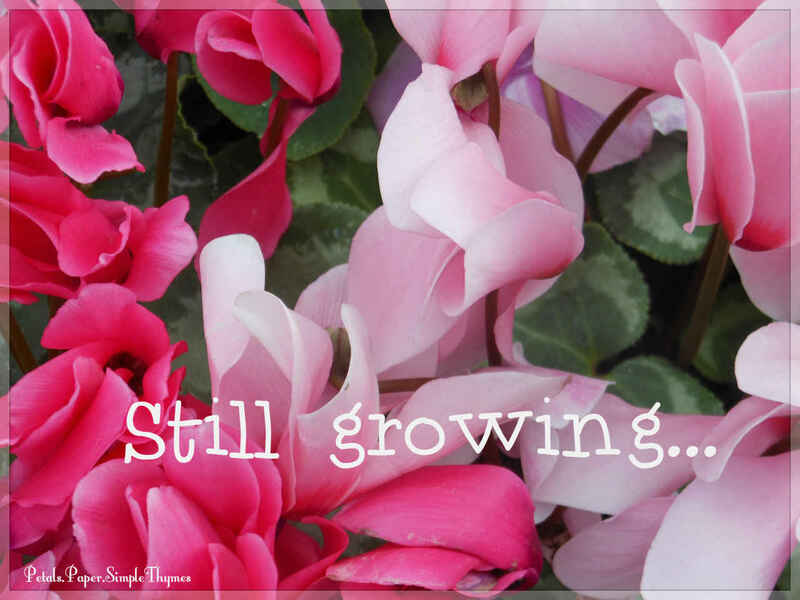 Although the garden is sleeping, the gardener is still growing! 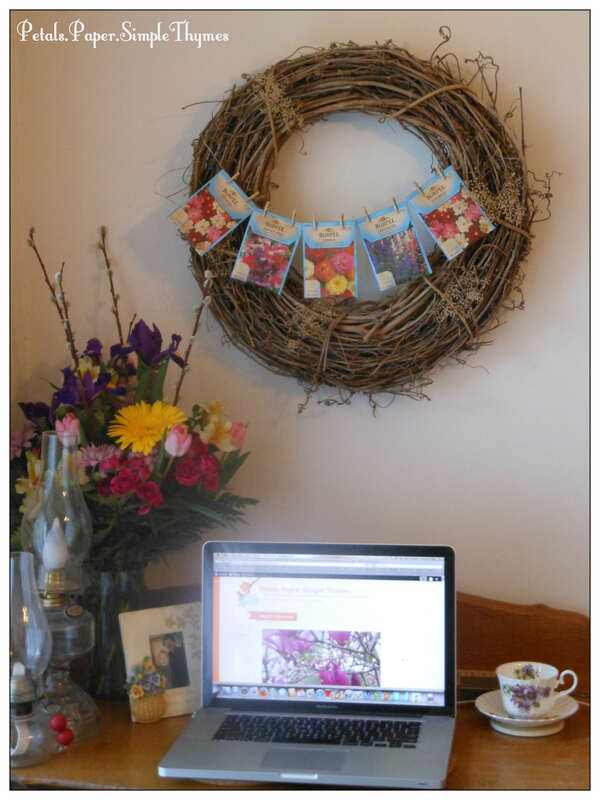 I’ve spent so many happy hours in my little Paper Garden studio downstairs during February…. 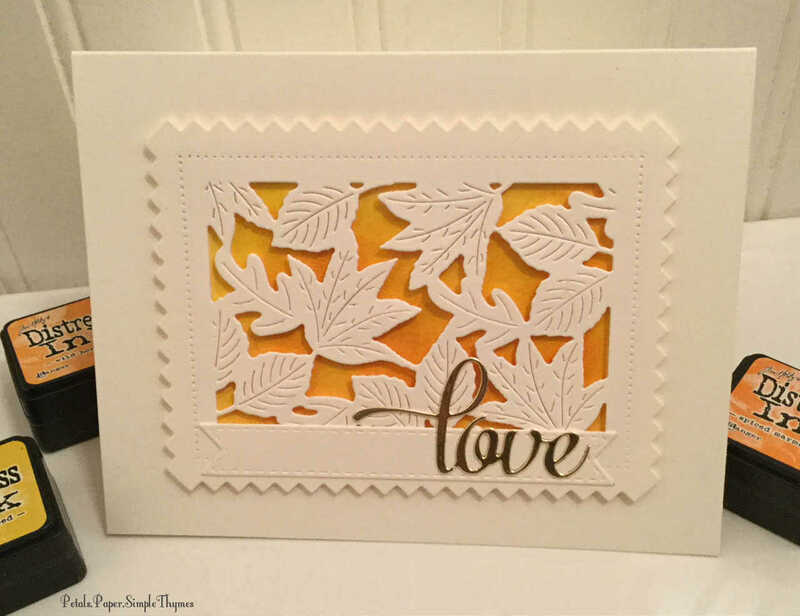 growing as a cardmaker. 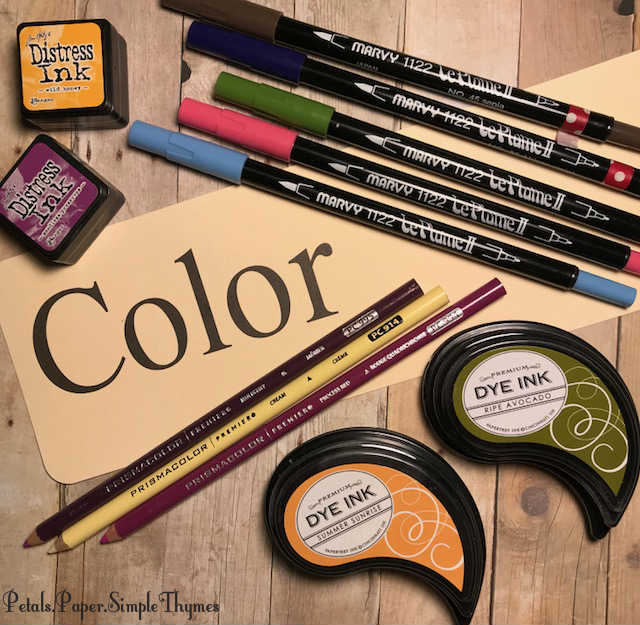 Papertrey Ink, one of my favorite stamp companies, is celebrating their 11th Anniversary this month. There were several interesting cardmaking Challenges. Playing along was the perfect way to step out of my comfort zone, try new techniques, and learn new skills. 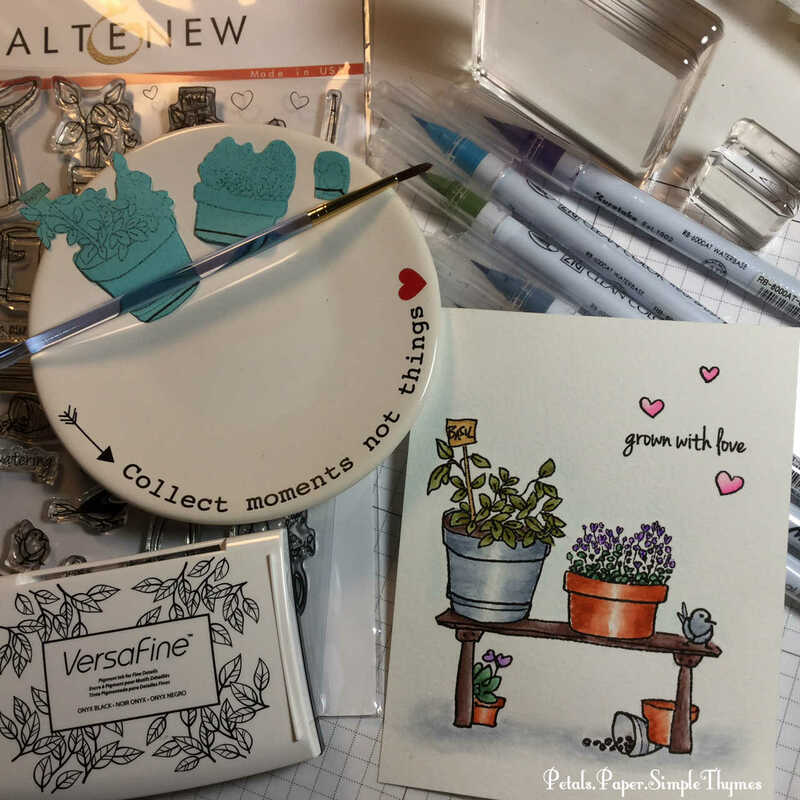 Part of the fun was bravely linking photos of my cards to the Papertrey Ink blog and sharing them with the stamp designers and lots of other cardmakers. Now it’s time to share a few peeks here, too! Several members of the Papertrey Ink Design Team participated in the Release Party Live on February 15th. What a treat to gather together as a papercrafting community in celebration! It was fascinating to watch as these talented designers, who inspire me to create, shared stories of their own creative processes. 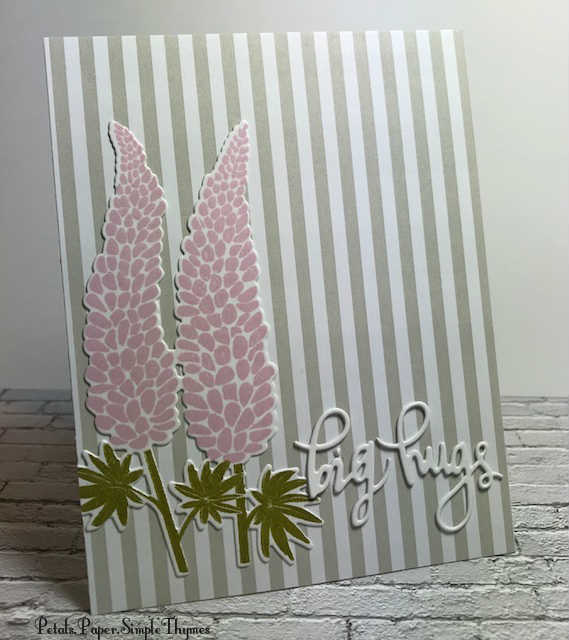 My self-confidence as a cardmaker grew as I listened. They talked about how the hardest part of the creative process is often getting started. They talked about spending several hours to create a special card. They talked about making several versions of a card before their final design was ready. From now on, I will carry their words in my heart while I am busy creating in my little studio. 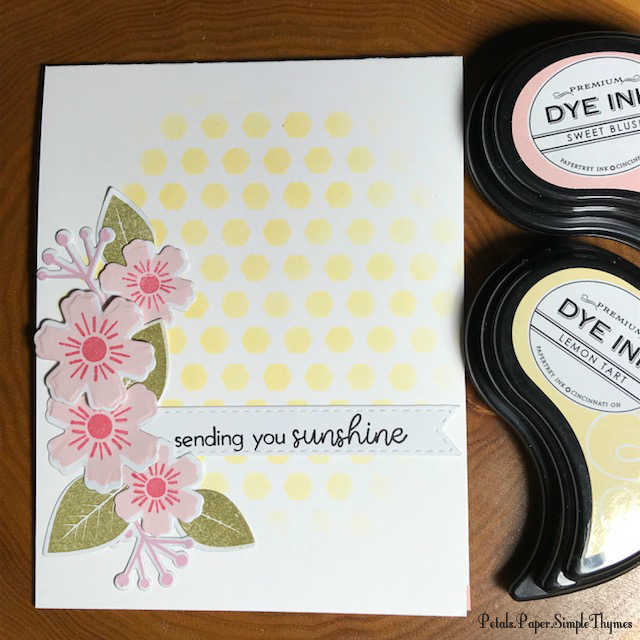 I feel so grateful to be a part of the Papertrey Ink community of papercrafters, soaking up inspiration as I learn and grow! 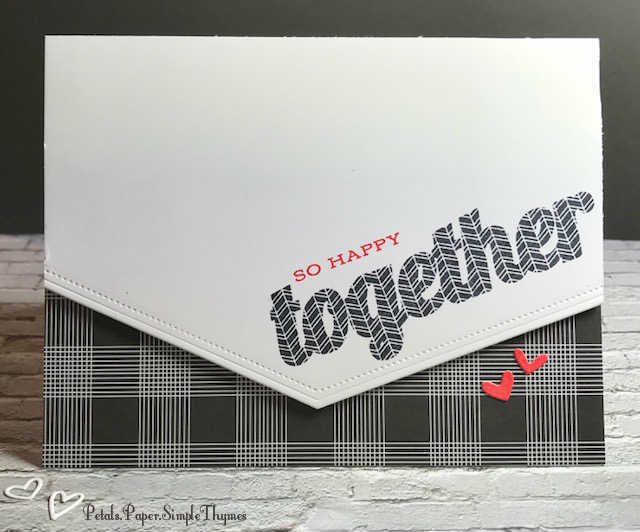 I have already reserved the weekend of August 25th-26th on my calendar for the 2018 Papertrey Ink ‘Stamp-A-Faire.’ It will be another virtual gathering of creative cardmakers across the globe. 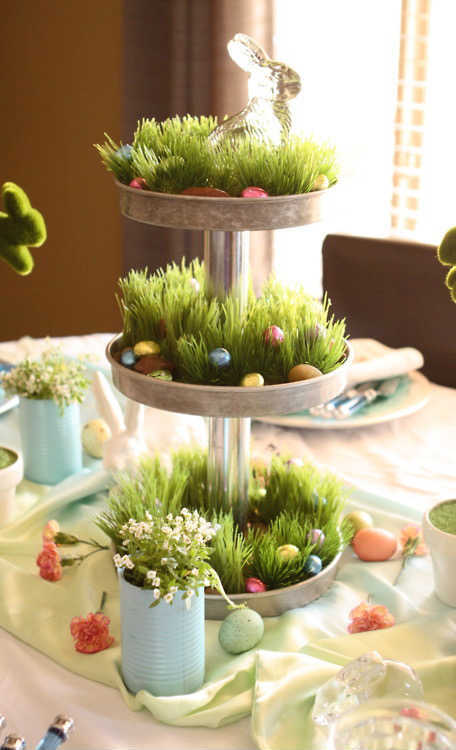 This year’s theme will be a Garden Party. 🙂 An entire weekend filled with Challenges will most definitely keep me growing! I have such warm memories of participating in ‘Stamp-A-Faire’ in 2015, 2016, and 2017. 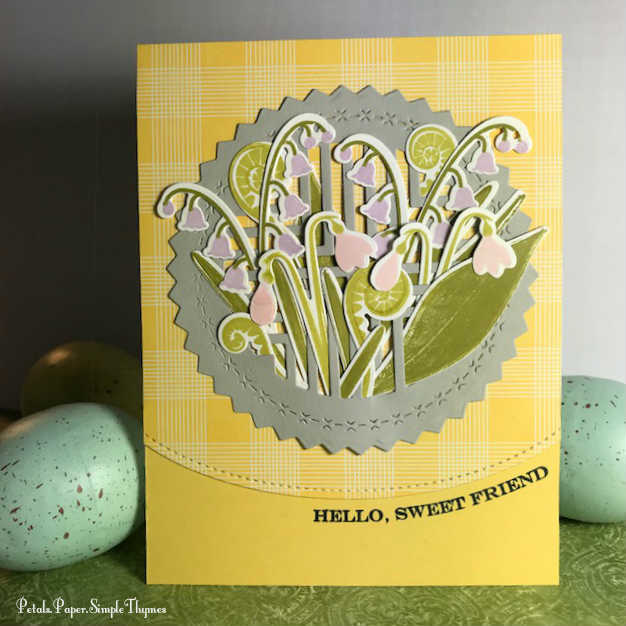 Last night, I worked downstairs in my little studio to create this card capturing the cheery Springtime feel inspired by the photo (above)…. Paper hugs, from the heart! The bushes look like popcorn balls. My ‘History Garden’ casts shadows in winter. We woke up on Monday to blue skies and sunshine… finally! 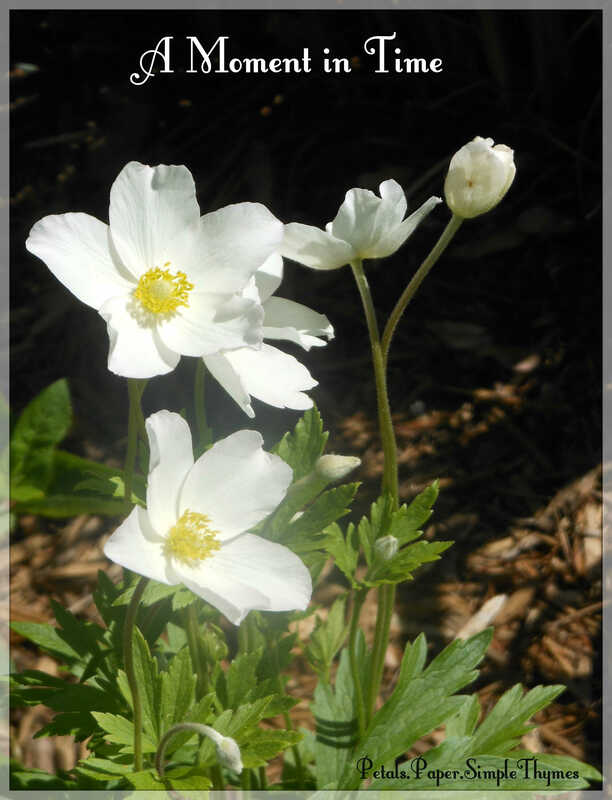 Early in the morning, I bundled up and went for a long-awaited walk through my Winter garden. Very slowly, I trudged through the deep, glittery snow, several inches higher than my warm boots. 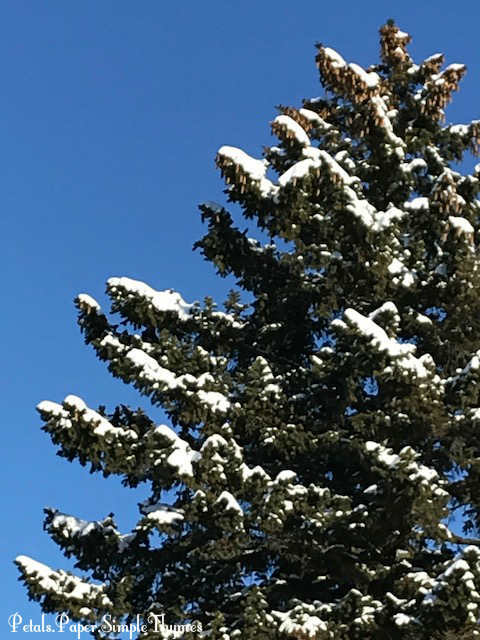 We had measurable snowfall every day for nine consecutive days, from February 3rd through the 11th. It truly looked like we were living in a snow globe! 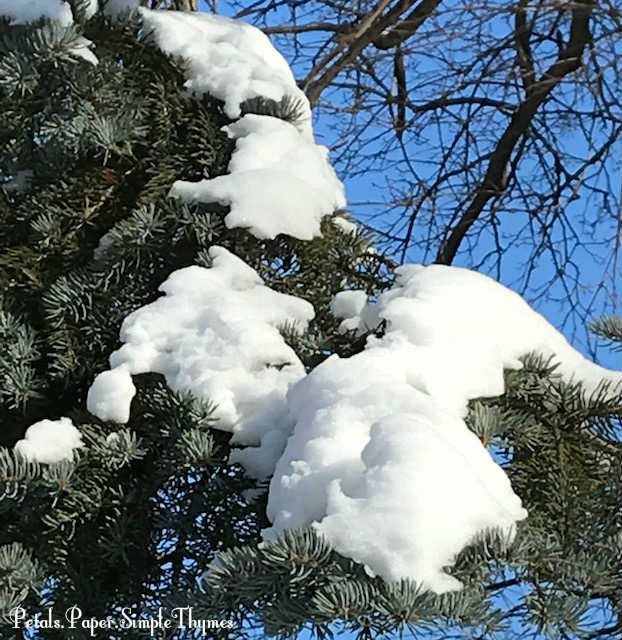 🙂 Each day as I peeked through our lace curtains, while sipping tea from a favorite antique teacup, the snowflakes danced over my garden like Winter’s butterflies. Many times, I reached into my special ‘Basket of Sunshine’ for an extra dose of coziness during our long stretch of snowy days. Shoveling snow became my daily ‘workouts,’ often shoveling two or three times a day. Traditionally, my husband prefers the ease of a snowblower, while I prefer the peaceful sounds of a shoveling meditation. 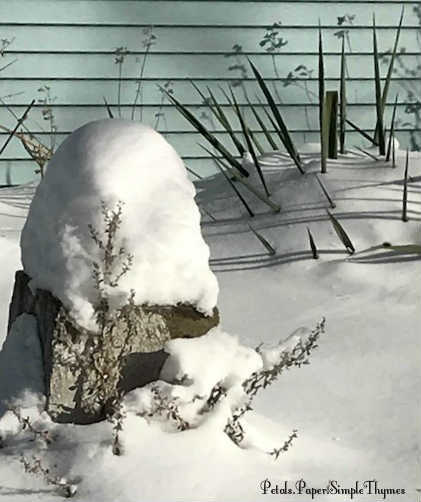 As I slowly scoop the snow from the sidewalks, I always take time to quietly enjoy our Wintertime shadow garden. 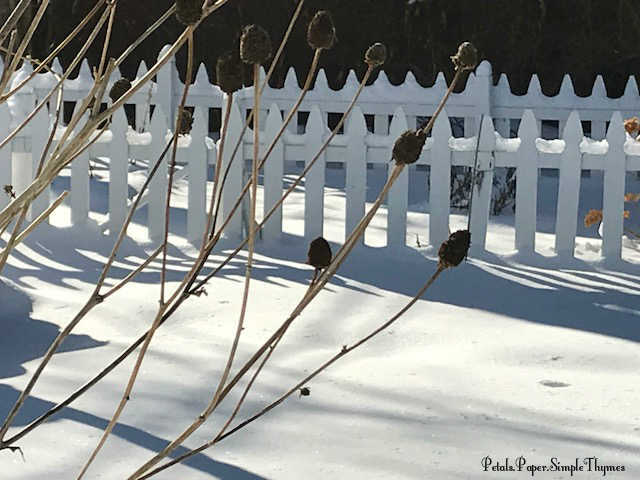 Every year, I intentionally leave the tall stems and dried flower heads of my perennials standing, providing seeds and nesting materials for our feathered friends throughout the Winter months. Seeing these dried souvenirs in my flower beds always fills my heart with warm, sunny memories of happy days in the garden last Summer. 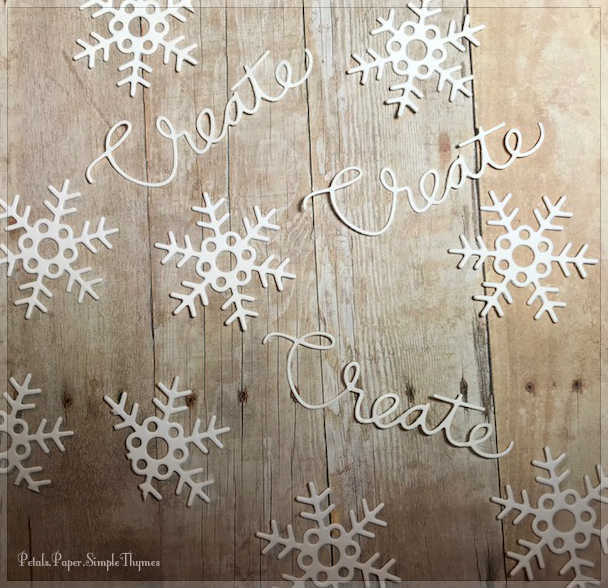 While the snowflakes tumbled down outside, it was the perfect time for some creative hours inside. 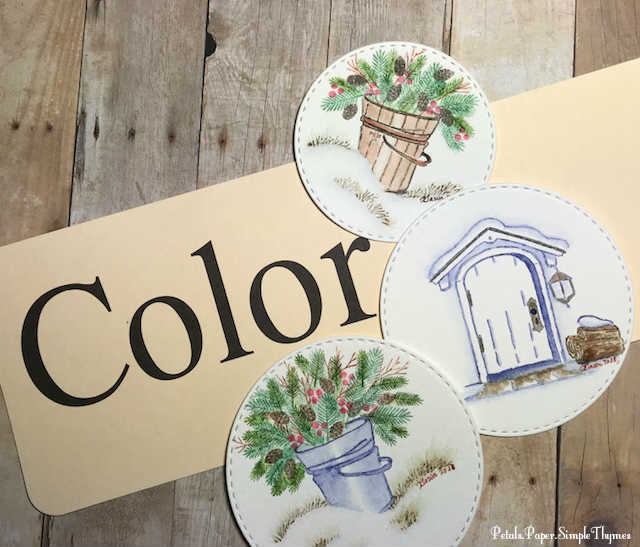 I enjoyed playing with tiny Art Impressions Watercolor stamps and watercolor markers to practice some watercolor vignettes. At first, it was fun to create snowy scenes. However, as the snowflakes fell outside day after day, my my heart yearned to create tiny, sunny gardens. 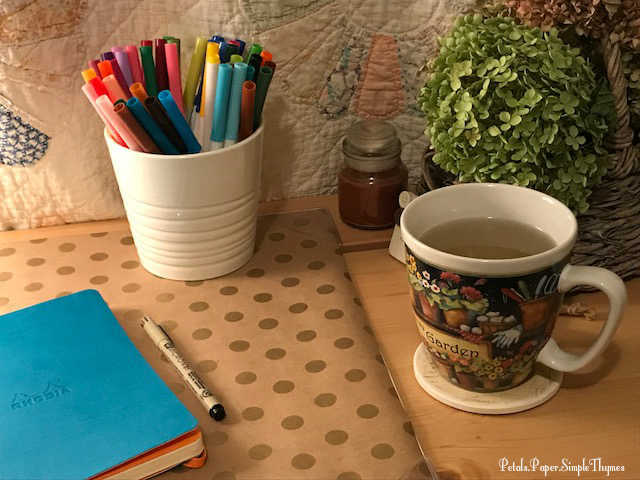 Although it is very chilly in my little Paper Garden studio during the Winter months, I still bundle up and carry hot tea downstairs to make one or two cards at a time. 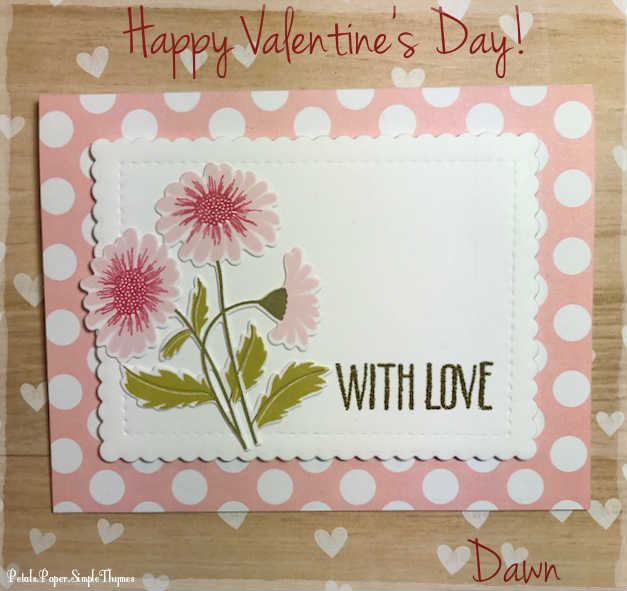 This week, I have been creating floral cards to warm hearts of family and friends. 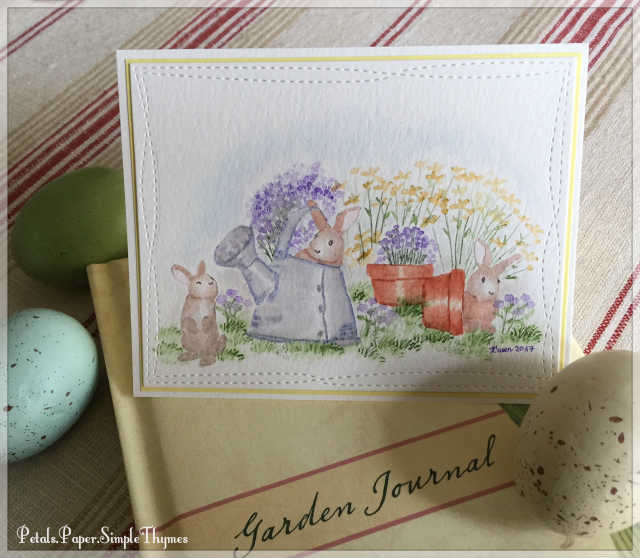 Doing a bit of ‘gardening’ with paper and ink definitely warms my heart, too! A lifelong letter writer, I have also been warming my heart by putting pen to paper. In quiet celebration of International Correspondence Writing Month (#InCoWriMo2018), I am enjoying writing long letters to dear friends. What a pleasure to decide who to write to, choose some pretty stationery from my desk drawer, and to fill a page or two with the breathings of my heart! I have also chosen a few names and addresses from the long list of international letter writers on the InCoWriMo 2018 website. I’m planning to write a few surprise letters! I chose someone who lives in my favorite little town in Wisconsin, someone in Ireland (a place I dream of visiting), someone in Paris (J’adore Paris! 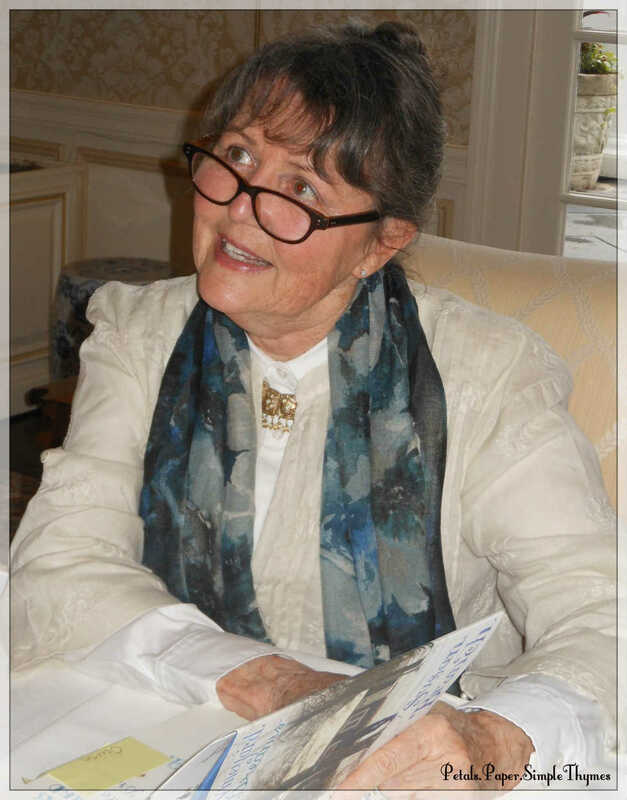 ), and someone who has been such an inspiration for my journal writing. All of my letters sent within the United States will carry a very special postage stamp. The Alzheimer’s semipostal stamp helps to raise awareness of this heartbreaking disease. Each Alzheimer’s stamp costs 65 cents and will help raise funds for the work that the U.S. Department of Health and Human Services is doing to help those suffering with this disease. 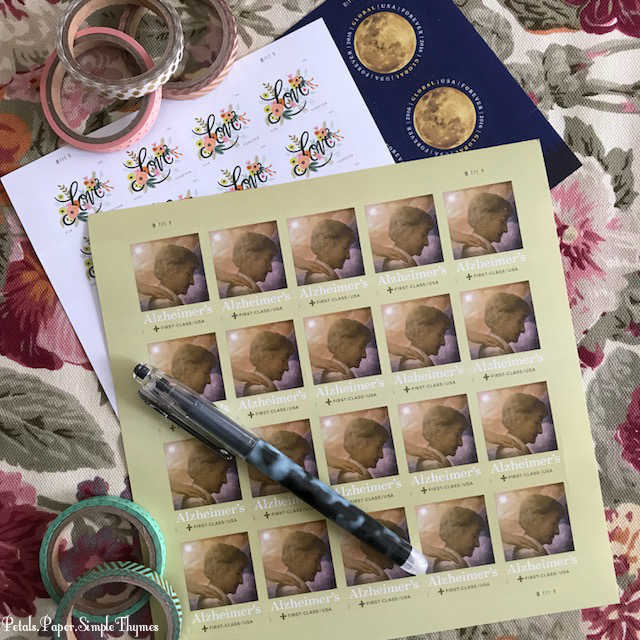 This cause is very near and dear to my heart and it would mean so much to me if the friends of our blog would purchase the Alzheimer’s stamps at their local post offices. This new semipostal stamp will be available for two years. All of those small donations will make a difference in so many lives! 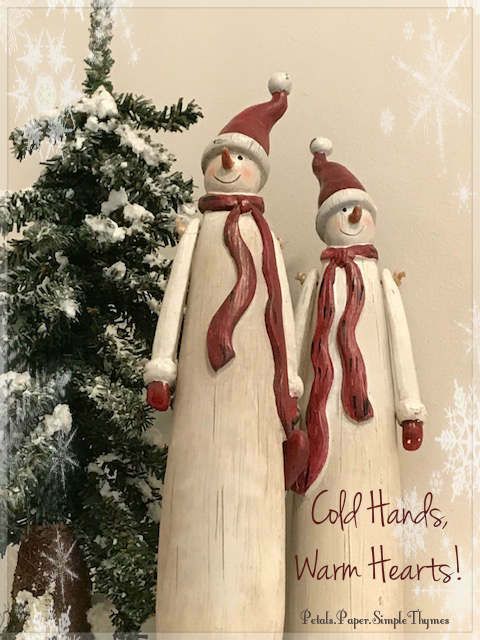 Cold, snowy greetings from the Midwest! May this be the beginning of a year filled with good health, happy times, and new discoveries! 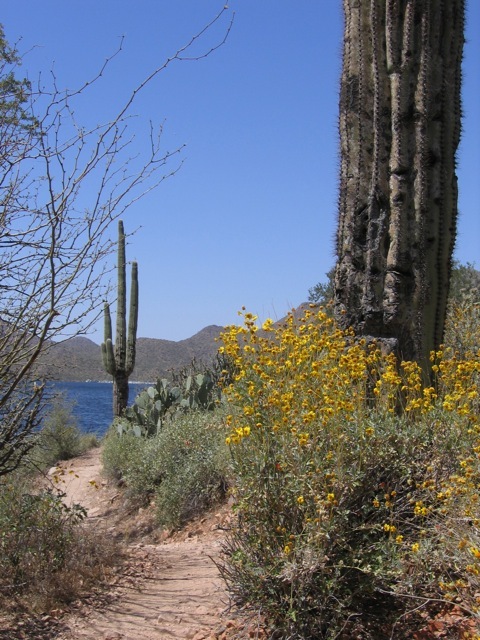 I have always loved new beginnings… and look forward to a fresh, energized start each January. For the past six years, I have chosen a word to guide me throughout each new year. Actually, the word has always chosen me! This year, for the first time, I was completely blindsided by my word for 2018! As always, early in the Fall I began listening closely for my 2018 word to come into my heart. There it was… and I began seeing objects with my new word everywhere ~ on plates, on hand lettered signs, even linen napkins. This little word was definitely trending! So, I set up a Pinterest board to hold all of the great inspiration. As Winter approached, my heart began to speak very loudly. (Whenever my heart speaks, I always listen!) Each time I imagined this word, I felt stress. The timing was all wrong for this great word. This had never happened to me before! It’s perfect! It’s inspiring! It’s what I need to do for my health, happiness, and personal growth in the year ahead! That’s exactly how my word should make me feel. So, I instantly switched gears… and danced through the past few weeks just getting started! First, I knew that it was time to create a special, dedicated space for writing. Many years ago, when we became a family, I happily gave my antique, oak desk to my husband. Now it was time for a quick trip to IKEA! You would have smiled if you saw us, on one of the coldest days of the year, trying to maneuver the large, flat box into our little car, and up the back stairs at home. 🙂 In a true ‘labor of love,’ my sweet husband spent hours and hours assembling my simple, pine desk (with its hundreds of screws). A bouquet of dried Hydrangeas from my garden, a bouquet of watercolor markers, a cup of tea, and an antique quilt on the wall now make this an inspiring place to write each day! For the new year, I created a Self-Care journal. I wanted a more tangible way to track my workouts, sleep, gratitude, and all of my creative goals. Although my Fitbit Charge 2 stores data, there is just something about hand writing it (in ink) that makes it feel more important to me. 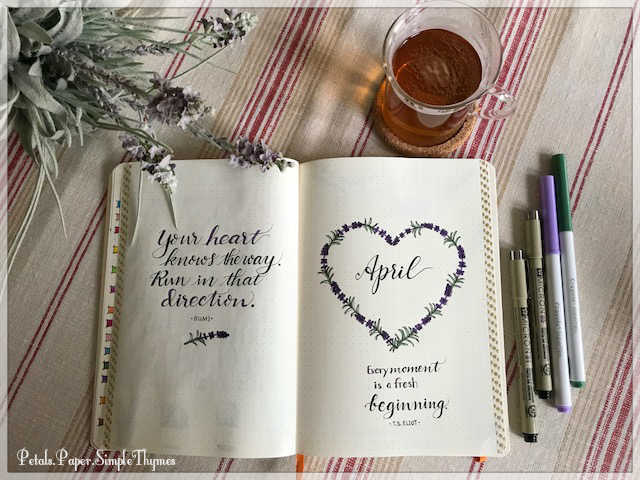 (I wonder if I am the only retiree to embrace bullet journaling? *wink*) I chose a Rhodia dot grid journal. The French, ivory vellum paper, by Clairefontaine, is heavenly. My lifelong love for playing with paper and ink is really in high gear now! After more than a decade away from my mat, I began a new Yoga practice this month. I created a dedicated space to practice in a corner of our living room. A nearby antique, oak bench holds candles to quiet the mind. Just seeing my Yoga mat waiting for me each day makes my heart smile! Yoga was a huge part of my life for several years, before an injury (off the mat) ended my practice. Although I will always be a beginner, being on the mat again makes me feel so alive! This month I am practicing TRUE ‘Yoga with Adriene’ (via You Tube) with a worldwide community of kindred spirits. 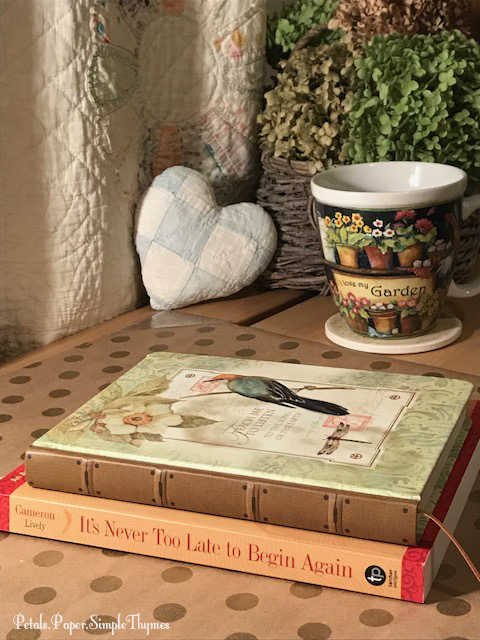 This year, I will be rereading Julia Cameron’s inspiring book, It’s Never Too Late to Begin Again (An Artist’s Way Program for Retirees and Other Creative Souls). I am looking forward to using Julia’s four powerful tools again this year: writing Morning Pages, finding creative inspiration in Artist Dates, taking Solo Walks in nature, and Writing Memoir. I am planning to spend one month on each chapter (instead of Julia’s one chapter per week plan), so that I can thoroughly explore each of her 12 themes fully. I have been very fortunate to find a wonderful group of interesting, creative souls who are also reading the same book! I’m looking forward to many colorful hours in my little Paper Garden studio downstairs this year. 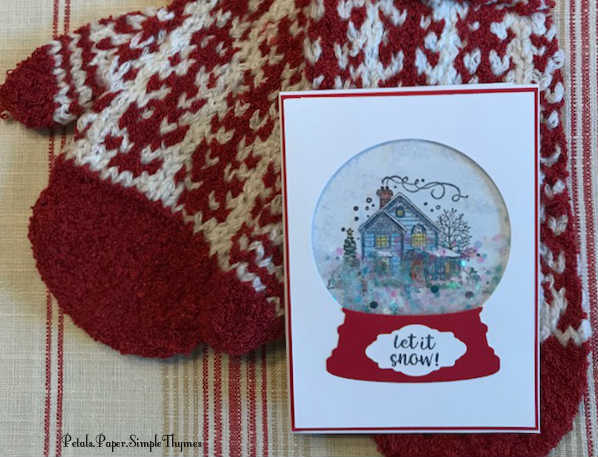 Creating handmade cards brings me such joy! My Artist Date this week is a workshop where we will create a mixed media project filled with special memories. 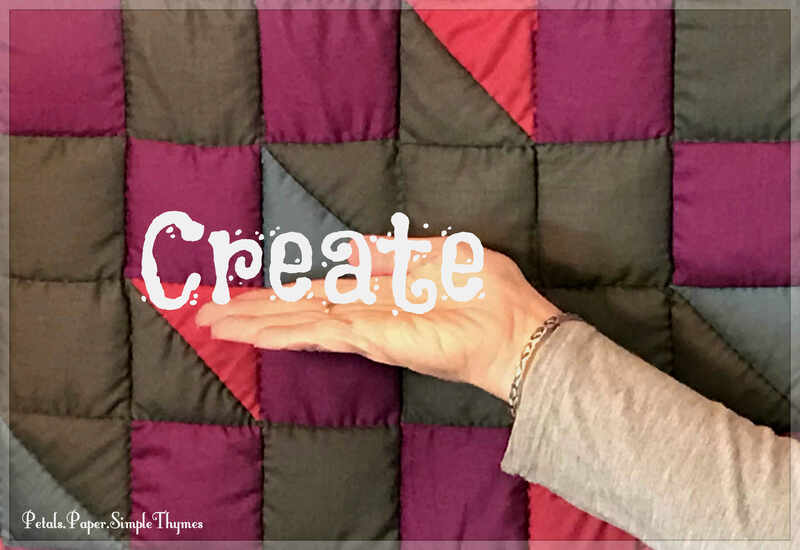 Making time to create is so good for the mind, heart, and soul! Today is the first day of The Daily Marker “30 Day Coloring Challenge.” Kathy has organized several of these fun Challenges encouraging everyone to take a few minutes each day just to color something. 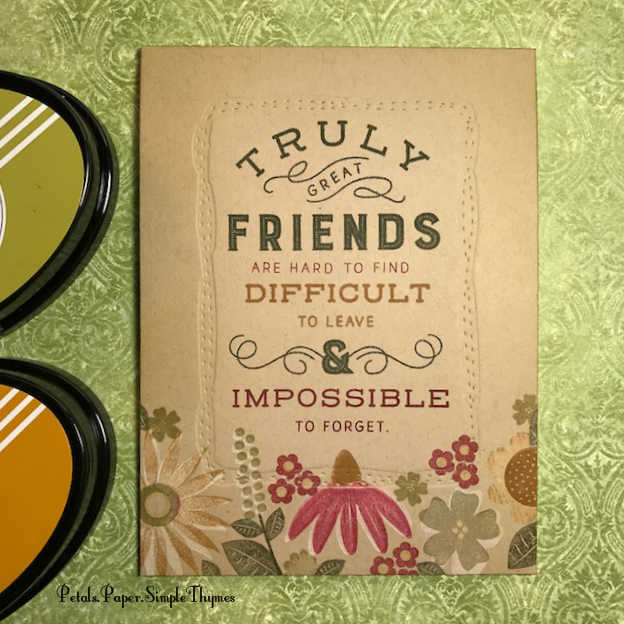 Over the years, she has built a warm, friendly, encouraging community of paper crafters who love to create with color. I’ve decided to create thirty tiny, stamped watercolor scenes, using Art Impressions Watercolor stamps. I’m so inspired by the creative work of artist Bonnie Krebs, who designs these tiny stamps! 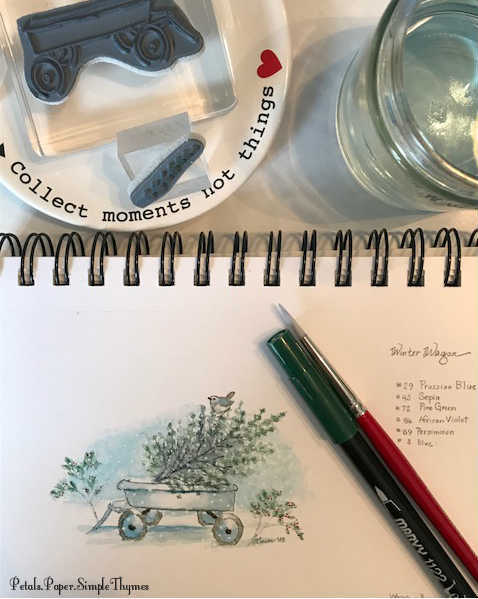 It was fun to gather all of my supplies in a big basket for today’s kickoff of the “30 Day Coloring Challenge.” This was my Day One watercolor. I will be working with watercolor markers, tiny Art Impressions Watercolor stamps, and a paintbrush in a spiral bound pad of watercolor paper. 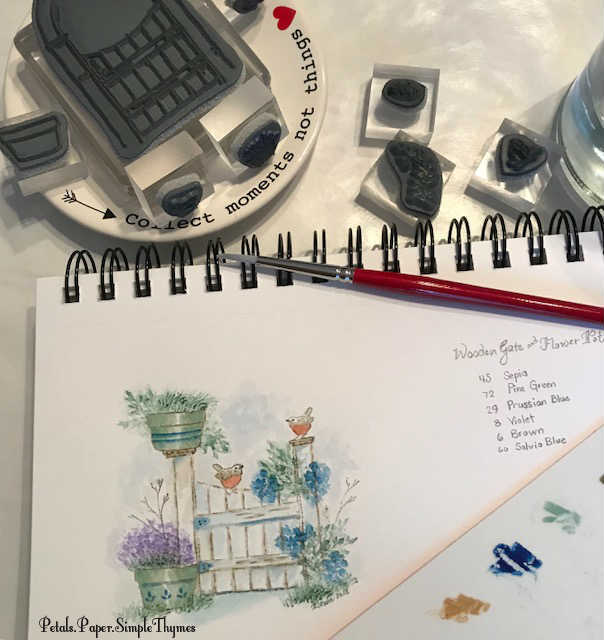 It will be such fun to create these tiny watercolors ~ just for me! (Normally, I turn them into cards and mail them off to family and friends right away.) I’m making quick notes alongside each painting so that I can always create another similar scene for a card in the future. that enhance the snug cheer within you! P.S. Hope you will share your plans and dreams for 2018 with us!